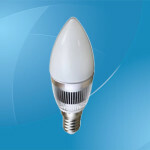 Typical A19 LED bulbs can replace 40W incandescent lamps effectively. This is because low wattage A19 bulbs produce superior light. For instance a 9W A19 LED bulb is adequate enough to replace a 60 watt incandescent and a 20 watt compact fluorescent bulb. The most common A19 LED bulbs are available in color temperatures; 2700K and 4000K. Also, unlike most energy efficient bulbs out there in the market, A19 LED Bulbs reach full brightness instantly. 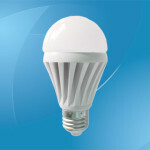 A19 LED bulbs are also safe because they don’t contain any lead or mercury. Both lead and mercury are poisonous substances to the human body thus A19 LED bulbs offers this added safety measure which lacks in most standard bulbs when they break. A19 LED bulbs come in two main options i.e. dimmable and non dimmable bulbs. Dimmable options are important because they help in regulating light intensity depending on individual preferences. A19 LED bulbs also have a 50,000 hour lifetime which is 25 times longer than standard bulbs. The bulbs also use 80% less energy compared to standard bulbs i.e. incandescent lamps. Lastly, the bulbs are omnidirectional which simply means that the bulb emits light in all directions. This is an advantage because of equal distribution of light. Standard A19 LED bulbs cost between $20 and $40 for a 40W and 60W bulb equivalent which is cheap considering A19 LED bulbs have a very long lifetime i.e. 50,000 hours. It is however important to note that the lifetime is dictated by a number factors. For instance, if you want your bulbs to last long 50,000+ hours, you have to use them as directed i.e. lighting them appropriately approximately 8-12 hours daily as opposed to lighting them continuously for days. Most people consider A19 LED bulbs to be expensive however this isn’t the case. When you compare the value for money you are getting i.e. superior light intensity, energy savings, lifetime, variety e.t.c., A19 LED bulbs are worth every penny. 1. A19 10W LED bulb: This is by far one of the most common A19 LED bulbs in the market today. As the name suggests the bulb has a power output of 10W. The bulb is made of aluminium with an input voltage of 100, 120, 220 and 240 Volts. The bulb has a beam angle of 270 degrees and 610 – 810 lumens. 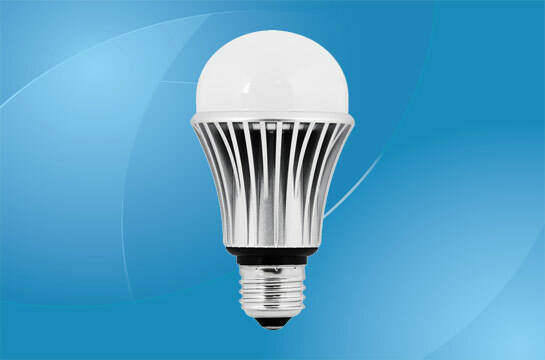 The A19 10W LED bulb has a three main color temperatures namely; warm white, pure white and cool white. 2. 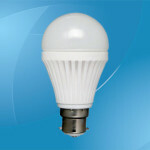 Dimmable 5W A19 LED bulb: Like the A19 10W LED bulb, the dimmable 5W LED bulb is also made of aluminium. The bulb also has a similar lifespan (50,000 hours) and color temperatures (warm white, pure white and cool white). The main difference between the two bulbs is the power output i.e. The bulb has a 5W output as suggested by the name. Also, the bulb is dimmable which means that light intensities can be regulated depending on one’s preferences. The dimmable 5W A19 LED bulb is also different in terms of the lumens i.e. 350 – 420 lumens. The beam angle is also different i.e. 360 degrees which is better than the A19 10W LED bulb.